What do you want for your child at this time? Do you want your child can only be read or love to read? Of course you will be able to feel the difference. Helping children learn to read is not difficult, but you need to practice the correct technique. As the old saying goes that says 'it's easy if you know how'. So if you know the way in helping children learn to read, then the result will be different. If children do not like something, you can not force them to do so. However, if the kids like something, you as parents can not stop them. If we want our children to love reading, we as parents must begin to instill a love of children to books. Its main purpose is not to teach or how to translate sounds or familiar words, but to instill a sense of love, passion and enthusiasm of children to books early on. In the early stages of reading, we should not be too demanding more effort from the child, but the early stages it should be great fun for children, should not be no. So make learning to read becomes a very enjoyable activity. Old parents read to children just as fun, they do not consider the book as a medium of learning to read. Old principle that they hold is not ready for children to learn to read before they entered the school level. Times have changed, that principle can not be applied forever. 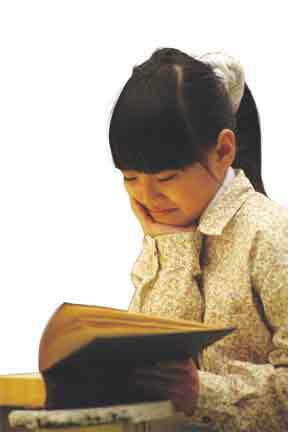 Lesson reading is not only aimed for children so that children can read but also love to read. Parents are an important component that introduces the ability to read to children. Reading to children, often invites them to speak, and invite children to perform a variety of interesting events is the way that parents can do to hone skills prabaca children. As disclosed above that the teaching of reading should start early. There are some experts who believe that the baby period represents an ideal period to begin learning to read. A baby hears the conversation and the language since she was born. We must have smiled when he heard the babbling of the baby as' Awwa, Waa, "which we translate as" Father "and" body, body, "is the" Mother ". Though not necessarily meant it, but we still believe that way. Rabanan (babbling) that we always appreciated with hugs, laughter, and praise. Instinctively rabanan an early stage of speaking. So, we must continue to fully involve the children in conversation. The conversation can we do to them while talking on the car or when we're bathing them. We can, pointing to objects and provide an explanation. We must know that once children are often heard and engage in conversation, his ability in applying the rules of language must also increase. How wonderful is the way children absorb any such rules. They mistake it is an indication of their ability to absorb grammar. Furthermore, we can teach reading to get the kids to see the written word. With happy, we'll hear the chatter-chatter of children who are turning the pages. Babbling are early stages of reading. According to Kathy Hirsh, PhD, director of Temple University Infant Laboratory at Ambler, Pennsylvania, "If parents have diligently read books to children and often involve the child in conversation, it can build vocabulary and develop basic skills of reading." Habit of reading books for your children is one of the most valuable thing we can do for them. Because it has a tremendous benefit. Some people have read books to infants who are still in the womb. Perhaps you consider this excessive, but be sure to start before children can speak. Try you buy the book cloth that is packed with soft toys for babies from birth until the age of nine months. Or there are many other types of books that also serves as a toy. It seems like this is just a toy, but these objects are very useful to generate a love of children to read. Read books to your child not only awaken their love of books. But this activity also familiarize them with the language of the book so children are ready to read on their own. Another advantage of reading books to your children is to increase the number of their vocabulary. Conversely, children who had never read the books will lose the opportunity to absorb the form of written language, and less able to estimate the content of a discourse. You can include grandparents, your nanny, and friends to help you read the book to the children. In reading the book for a child, you should be able to do so with expressive. Imitate the sounds, turn your eyes, whisper with fear, scream and jump as if you were a dragon, a princess or a king. This makes the event enjoyable reading books. There is no definitive answer when you should stop reading books for children. But usually the children will tell you if they feel do not need it anymore. If we want to create a generation who likes to read, we as parents should be role models. We must be demonstrated that reading is an activity undertaken for the benefit of ourselves, not others. So, it's no good if we try to spread the "virus" reading to children, if we do not have the interest to read. Great post. I totally agree that children must be taught how to read at a very early stage. Much better if they are taught right before they learn how to speak. Because the moment that children are showed the things to them, they will imitate this and can easily adapt it as they are on the development stages. As with speaking, they say things that they hear; so this means that if they are more exposed to books, much better with images, they will eventually will try to look for those books. I agree when you said to include toys, candies and other things that can attract a baby so it can be easier for him/her to follow the reading that you are teaching to him/her. I agree when you said to include toys, candies and other things that can attract a baby so it can be easier for him/her to follow the reading that you are teaching to him/her.